This entry is part 12 of 43 in the series Miscellaneous Magento Articles. Earlier posts include Magento Front Controller, Reinstalling Magento Modules, Clearing the Magento Cache, Magento's Class Instantiation Abstraction and Autoload, Magento Development Environment, Logging Magento's Controller Dispatch, Magento Configuration Lint, Slides from Magento Developer's Paradise, Generated Magento Model Code, Magento Knowledge Base, and Magento Connect Role Directories. Later posts include PHP Error Handling and Magento Developer Mode, Magento Compiler Mode, Magento: Standard OOP Still Applies, Magento: Debugging with Varien Object, Generating Google Sitemaps in Magento, IE9 fix for Magento, Magento's Many 404 Pages, Magento Quickies, Commerce Bug in Magento CE 1.6, Welcome to Magento: Pre-Innovate, Magento's Global Variable Design Patterns, Magento 2: Factory Pattern and Class Rewrites, Magento Block Lifecycle Methods, Goodnight and Goodluck, Magento Attribute Migration Generator, Fixing Magento Flat Collections with Chaos, Pulse Storm Launcher in Magento Connect, StackExchange and the Year of the Site Builder, Scaling Magento at Copious, Incremental Migration Scripts in Magento, A Better Magento 404 Page, Anatomy of the Magento PHP 5.4 Patch, Validating a Magento Connect Extension, Magento Cross Area Sessions, Review of Grokking Magento, Imagine 2014: Magento 1.9 Infinite Theme Fallback, Magento Ultimate Module Creator Review, Magento Imagine 2014: Parent/Child Themes, Early Magento Session Instantiation is Harmful, Using Squid for Local Hostnames on iPads, and Magento, Varnish, and Turpentine. As platform, PHP has a long history of relying on the base computer’s underlying file system as a storage mechanism for various application and system functions. This ties in closely with PHP’s practical history of closely modeling the nacent web’s file serving architecture for it’s own. In an ideal world, as an end-user or application developer using the Magento system, you wouldn’t need to worry about the file system at all. When you’re handling user sessions, you don’t care if they’re stored on disk or in a database, or when you declare a Model class you don’t need to worry about requireing the source file into the system. That’s because there’s an abstraction that sits on top these systems and allows you to not worry about how they’re implemented. Unfortunately, we don’t live in an ideal world. There are times when, either out of deadline pressure or lack of an interface, we need to programmatically deal directly with the raw file system in Magento. This article will teach you how to programmatically find the paths of important Magento systems files, which will allow you to build less fragile applications that can withstand system configuration and installation changes. If you’re worked much with PHP, you know that finding the full file path to any particular file can be a bit of a black art. When you include or require a PHP file, or open a raw file with functions like file or file_get_contents using a relative file path, there’s a set of rules that PHP will use to determine which directories need to be searched. While this works, it’s not without its problems. As you can see, this will often lead to code that’s a little hard to read. Additionally, calls to realpath mean that PHP needs to stat the filesystem to retrieve that information. As traffic to your application grows, these kind of file stats can start to create a performance bottleneck. Finally, although it solves the problem of ambiguity in PHP’s include path, this isn’t a 100% portable solution. If we move the code from one PHP file (say, a Model in a module) to another PHP file (say, a Magento phtml template), the number of ..‘s we’ll need is different, since one file is deeper in the hierarchy than the other. Sometimes __FILE__ is the only way to get where you want to go. Fortunately, Magento offers another option for commonly accessed folders. Add the following code an empty controller action or other area of Magento where you can run arbitrary code. The first folder is the base directory for the entire Magento installation. The second folder is the base directory for Magento’s etc folder, which holds configuration files. you can see where these directory paths are stored. This is your main Magento directory. In a default root level application instal, this is the equivalent of the document root. This is your Magento application directory. This is the directory where the final class Mage... application file (Mage.php) is stored. This is your Magento code directory. This is base directory for the three Magento code pools (core, community, local). The etc folder is where Magento stores system level (as opposed to module level) configuration files. The name etc is borrowed from the *nix family of operating systems, and Magento’s configuration files are all XML based. 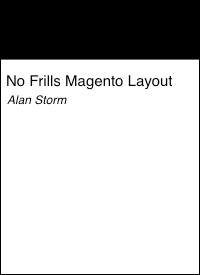 Magento’s library folder is where non-module based Magento code lives. This include a large amount of the system code which allows Magento to run, as well as a number of third party libraries (including the Zend Framework). The library is also the last code pool Magento will search when attempting to autoload a file. Magento’s media folder is where media files (images, movies, etc.) related to data (products) is stored. The var folder is another one borrowed from the *nix world. The var stands for Variable files, and is intended to store files which are expected to change during normal system operations. The tmp dir is a temporary directory for safely outputting files into for immediate processing. The operating assumption of the tmp folder is that any developer can write to it and expect their file to stay around for a few minutes, without any expectation that it will be there tomorrow. Magento, rather famously, makes heavy use of caching for activities that might bog down the system if they had to be performed every-time a page loads. For example, Layout XML files are merged once, and then the tree is cached so they don’t need to be merged again. The cache folder is one place where Magento will store these cached results. section. The apache/web-server user will need write permission on this folder and the files therein. There are a number of Admin Panel features which allow you to upload media files (default logos, etc.). The upload folder is where Magento stores these files. The export folder is where Magento will write out files meant to be viewed and used by system owners. For example, the Data Flow section of the Admin uses this folder to write out its export files. Let’s quickly cover these four folders. Your module’s etc folder. The etc folder is a concept borrowed from the *nix, and contains you’re module’s XML configuration files. Your module’s controllers folder. Magento’s controllers are not included in the __autoload implementation. If you ever need to manually include or require a controller, use this method to ensure you get the right path. Your module’s sql folder. The sql folder contains installer and upgrade files for your Model resources, which are used to install entities and migrate database information during installations. Your module’s locale folder. The locale folder contains translation files that are used by Magento when your module is viewed under a different locales. In this article we explored using the Magento provided methods for retrieving important system file paths. While not necessary, using these methods will help ensure that your Magento solutions and custom modules will be able to weather system updates and help minimize the system administration effort when upgrading the platform.